Tropical forests are being exposed to unprecedented environmental change, with huge knock-on effects. In the past decade, the carbon absorbed annually by the Amazon rain forest has declined by almost a third. 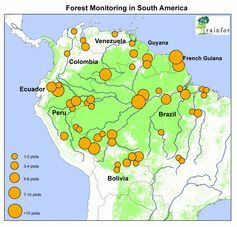 At 6m km2, the Amazon forest covers an area 25 times that of the UK, and spans large parts of nine countries. The region contains a fifth of all species on earth, including more than 15,000 types of tree. Its 300 billion trees store 20% of all the carbon in the Earth’s biomass, and each year they actively cycle 18 billion tonnes of carbon, twice as much as is emitted by all the fossil fuels burnt in the world. The Amazon Basin is also a hydrological powerhouse. Water vapour from the forest nurtures agriculture to the south, including the biofuel crops which power many of Brazil’s cars and the soybeans which feed increasing numbers of people (and cows) across the planet. What happens to the Amazon thus matters to the world. As we describe in research published in Nature, the biomass dynamics of apparently intact forests of the Amazon have been changing for decades now with important consequences. Is climate changing the Amazon? There are two competing narratives of how tropical forests should be responding to global changes. On one hand, there is the theoretical prospect (and some experimental evidence) that more carbon dioxide will be “good” for plants. 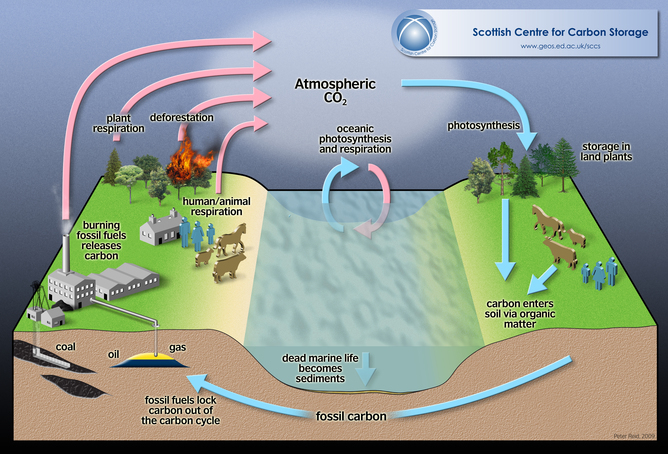 Carbon dioxide is the key chemical ingredient in photosynthesis, so more of it should lead to faster growth and thus more opportunities for trees and whole forests to store carbon. In fact almost all global models of vegetation predict faster growth and, for a time at least, greater carbon storage. The Amazon is a big part of Earth’s carbon cycle. Arrayed against this has been an opposing expectation, based on the physical climate impacts of the very same increase in atmospheric CO2. As the tropics warm further, respiration by plants and soil microbes should increase faster than photosynthesis, meaning more carbon is pumped into the air than is captured in the “sink”. More extreme seasons will also mean more droughts, slowing growth and sometimes even killing trees. The work we have led takes a simple approach. With many colleagues, we track the behaviour of individual trees through time across permanent plots distributed right across South America’s rain forests. Together with hundreds of partners in the RAINFOR network, this close-up look at the Amazon ecosystem has been underway since the 1980s, allowing an unprecedented assessment of how tropical forests have changed over the past three decades. 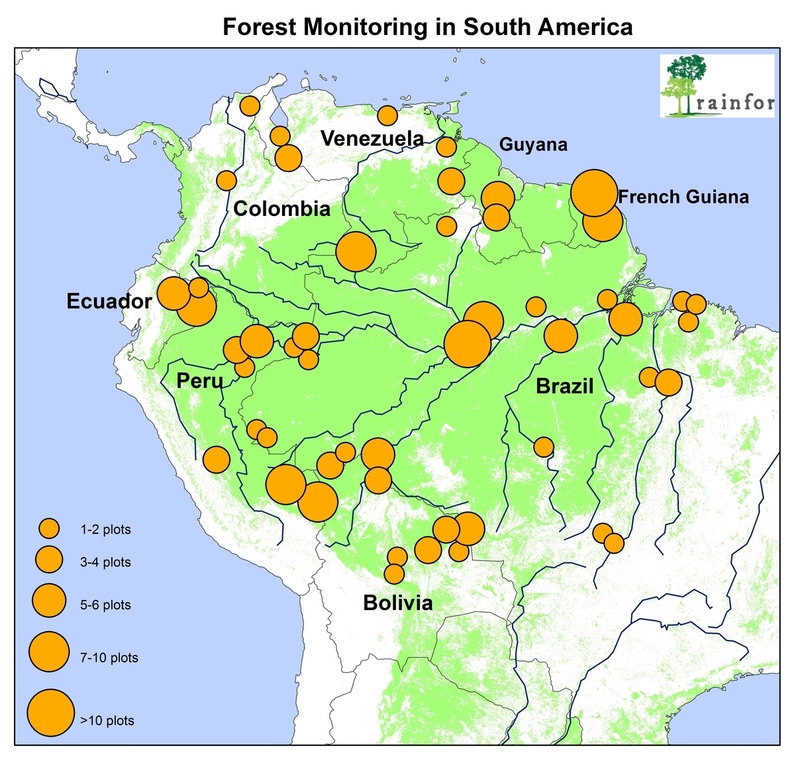 Researchers looked at trees right across the Amazon. Our analysis – based on work across 321 plots, 30 years, eight nations, and involving almost 500 people – first of all confirms earlier results. 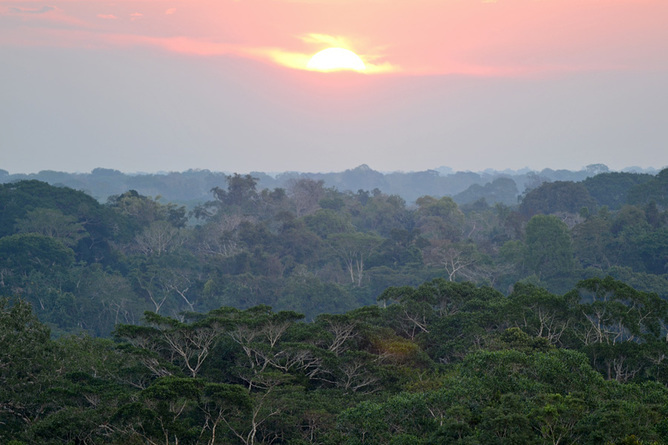 The Amazon forest has acted as a vast sponge for atmospheric carbon. That is, trees have been growing faster than they have been dying. The difference – the “sink” – has helped to put a modest brake on the rate of climate change by taking up an additional two billion tonnes of carbon dioxide each year. This extra carbon has been going into ostensibly mature forests, ecosystems which according to classical ecology should be at a dynamic equilibrium and thus close to carbon-neutral. However we also found a long and sustained increase in the rate of trees dying in Amazon forests that are undisturbed by direct human impacts. Tree mortality rates have surged by more than a third since the mid-1980s, while growth rates have stalled over the past decade. This had a significant impact on the Amazon’s capacity to take-up carbon. Recent droughts and unusually high temperatures in the Amazon are almost certainly behind some of this “mortality catch-up”. One major drought in 2005 killed millions of trees. However the data shows tree mortality increases began well before then. Some other, non-climatic mechanism may be killing off Amazonian trees. The simplest answer is that faster growth, which is consistent with a CO2 stimulation, is now causing trees to also die faster. As the extra carbon feeds through the system, trees not only grow quicker but they also mature earlier. In short, they are living faster, and therefore dying younger. Thus, 30 years of painstakingly monitoring the Amazon has revealed a complex and changing picture. Predictions of a continuing increase of carbon storage in tropical forests may be overly optimistic – these models simply don’t capture the important feed-through effect of faster growth on mortality. At least the mushrooms are happy. As the Amazon forest growth cycle has been accelerating, carbon is moving through it more rapidly. One consequence of the increase in death should be an increase in the amount of necromass – dead wood – on the forest floor. While we haven’t measured these changes directly, our model suggests the amount of dead wood in the Amazon has increased by 30% (more than 3 billion tonnes of carbon) since the 1980s. Most of this decaying matter is destined to return to the atmosphere sooner rather than later. More than a quarter of current emissions are being taken up by the land sink, mostly by forests. But a key element appears to be saturating. This reminds us that the subsidy from nature is likely to be strictly time-limited, and deeper cuts in emissions will be required to stabilise our climate.